Varnishing with paint – only dependent on what colour you prefer. All of them are of the same quality and beauty. 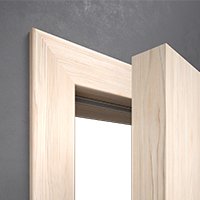 Doorframes for folding doors solve space problems; they are fitted into classic doorframes. 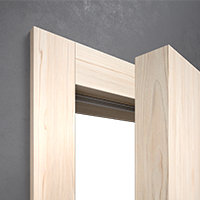 They need doorframes with a supporting structure for such an opening mechanism. For doors fitted on hinges. 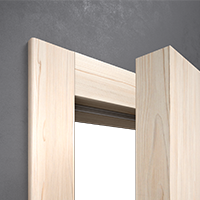 For doors with on the wall or in the wall sliding. 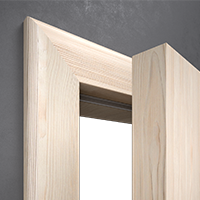 For doors which fold halfway or a third of the way along the door width. For frameless glass door wings. For doors opening in both directions. 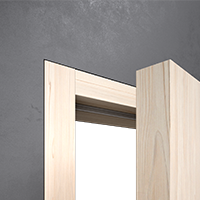 Without visible hinges and with the door on one plane. With visible hinges and an overlapping door. 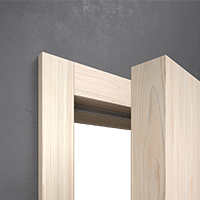 For spaces without construction door openings. Facing an old metallic doorframe. Doors are sprayed with paint and re-varnished several times. 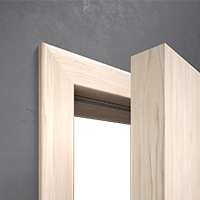 Safety or standard metallic doorframes.